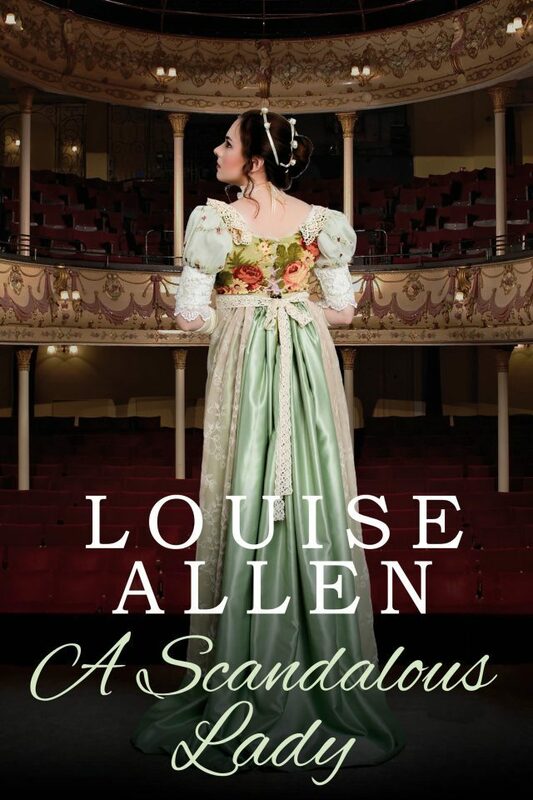 Pride, prejudice and a shocking secret. Has love any chance at all? Camilla Knight, respectable Bath lady, has a secret that would ruin her, and her family, if it was ever known. She is also becoming increasingly attracted to Nicholas Lovell, Earl of Ashby which would be delightful – if it were not for the fact that Nicholas is intent on the pursuit of lovely actress Lysette Davide, who just happens to be Miss Knight. What begins as a careless wager for Nicholas becomes a tantalising dilemma as he comes to realise that the two women he is attracted to are one and the same. And neither is a fit wife for the Earl of Ashby. Can love and trust win out over fear and pride? This is an extensively revised version of the novel of the same name by Francesca Shaw originally published by Mills & Boon in 2002. Nicholas Lovell, Earl of Ashby, swung his quizzing glass at the end of its ribbon and listened to the rising hum of anticipation from the well of the theatre below him. From his vantage point in the box he could see virtually the entire sweep of the Theatre Royal, the swirl of colours from the ladies’ silks and satins, the subdued gleam on the gentlemen’s formal evening wear. As usual the Bath audience had paid hardly any heed to the curtain-raiser, chattering, gossiping and waving to acquaintances throughout it. But now the mood had changed to one of heightened expectation. Perhaps, he mused, his friends had not exaggerated the charms and talents of the Royal’s chief attraction, Mademoiselle Lysette Davide, the sublime interpreter, so it was said, of Shakespeare. And tonight there was the added piquancy of knowing that those privileged enough to procure a ticket would be witness to her last performance of the season. But, no, despite everything, he could not summon up the enthusiasm to join in his friends’ excitement. He closed his eyes and leaned back in the gilded chair. ‘For pity’s sake, Lovell, do wake up and show a bit of interest. The performance is about to start.’ George Marlow leaned over and poked him unceremoniously in the ribs with his quizzing glass. Nicholas raised one brow in acknowledgment and resumed his bored scrutiny of Bath Society, chattering in the stalls below. ‘And the rest of her,’ George Marlow remarked, with a meaningful grin. Nicholas was surprised by his companions’ calf-struck demeanours. After all, George had kept a string of actresses for the past few years, yet all the men were behaving like schoolboys whenever this particular woman’s name was mentioned. ‘So what is stopping you?’ he enquired, irritated. ‘She’s only an actress, and we all know what that means. Enough money and you can kiss her from head to toe and all parts in between, never mind her hand.’ It had taken a lot to persuade him to come out this evening. He had only arrived in Bath that afternoon, reluctantly obeying a summons from his elder sister Georgiana, and had had no intention of doing anything but having a good dinner and several glasses of brandy with his brother-in-law Henry. ‘Only an actress?’ Indignation mottled William’s cheeks. ‘She is pure, unsullied, a goddess. The Unobtainable.’ The others, equally earnest, nodded solemnly.